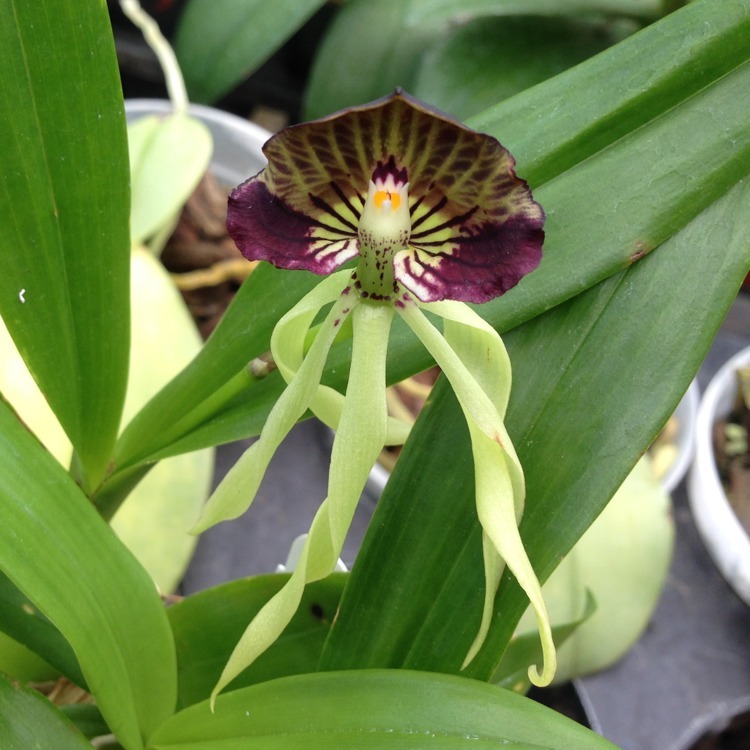 Often called the Cockelshell Orchid or Octopus Orchid, we ship a lot of this beauty as it reminds many poeple of the beautiful Kauai snorkling and oceanscape. Loves Cattleya-like conditions. Sold as a 2" pot, in bloom. Water: Likes to be almost drt between waterings.